In Honor of MLK: Happy Birthday to the King! Martin Luther King, Jr. (January 15, 1929 – April 4, 1968) was a great man who forever changed the landscape of U.S. culture, politics, beliefs and so much more. His contribution to the Civil Rights movement was (is) beyond words. Today, to honor his life and legacy, I ask that you do something with your kids to mark the occasion. This could be as simple as a conversation, or going to the library and reading a book together! 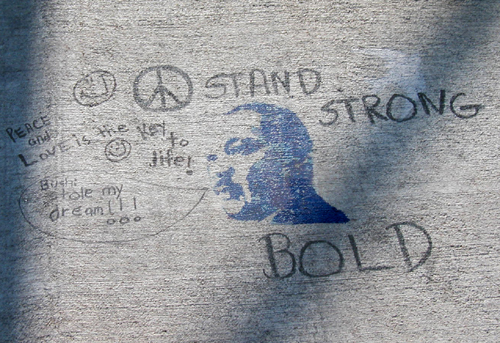 Above all, MLK’s commitment to non-violence and civil service are wonderful themes to reinforce with children. 1) 7 Civic Service Ideas for Kids – This article from Scholastic has some great ideas for ways you and your child can become more involved in helping your community. Experiencing what it means to give back and pay it forward will shape your child’s character in very meaningful ways. 2) Martin Luther King, Jr. Day Activities – Although this site is geared toward teachers, if you’re interested in finding books, coloring sheets, word searches & other activities that teach about MLK, this is a great resource. 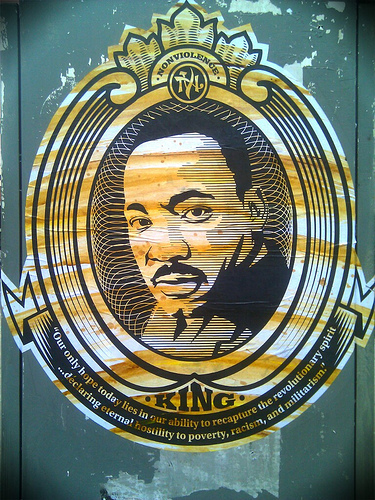 How has Martin Luther King, Jr. shaped your life?